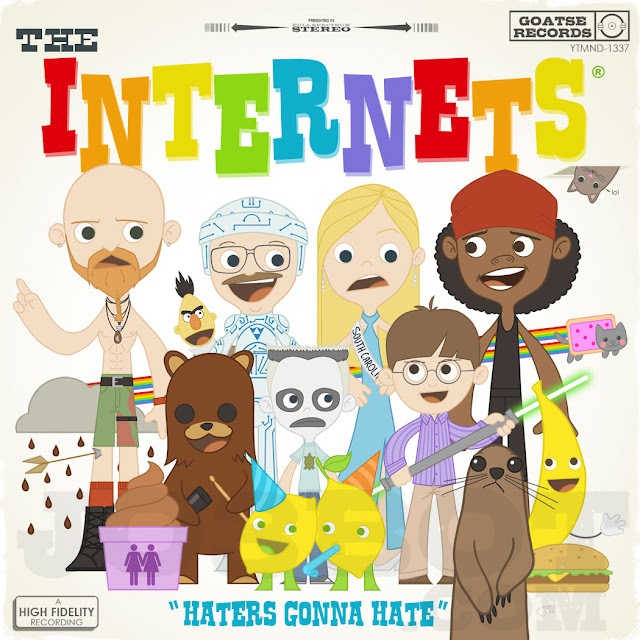 Haters Gonna Hate by The Internets, new art by Joey Spiotto for the upcoming “So I Made a Meme” show at Gallery 1988. 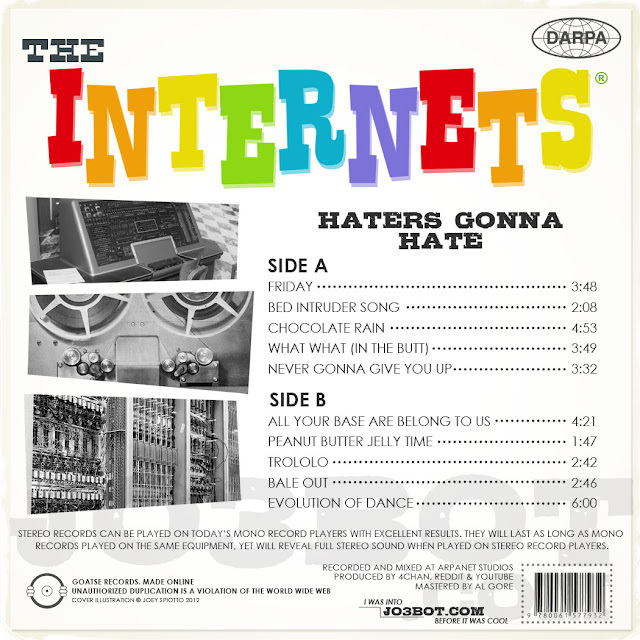 Straight from the World Wide Web and into your hearts comes the new hit album “Haters Gonna Hate” from The Internets! Now you can sing along with hit songs such as “Friday”, “Trololo”, and “Bed Intruder Song”. Join the lemonparty with some old friends, hide yo kids, hide yo wife, and listen to The Internets, they’re never gonna give you up!